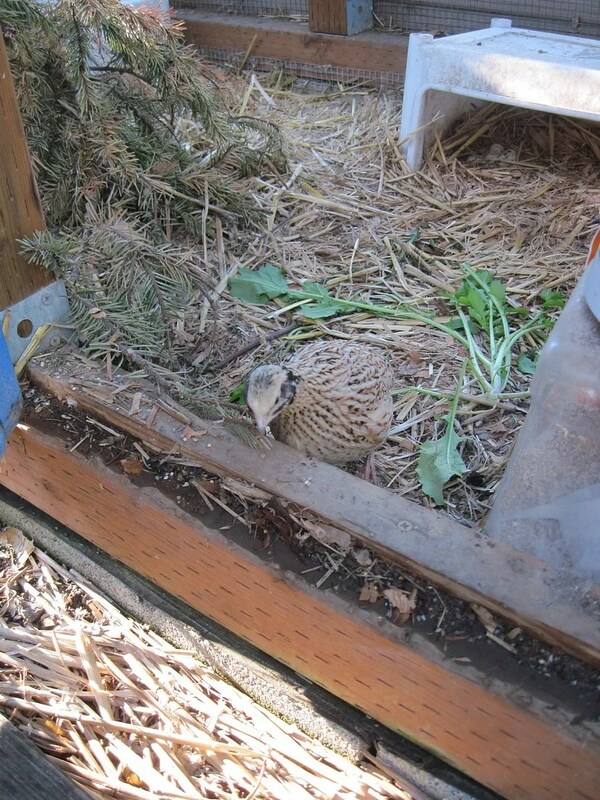 Ducklings, Quail, and a Greenhouse, Oh My! 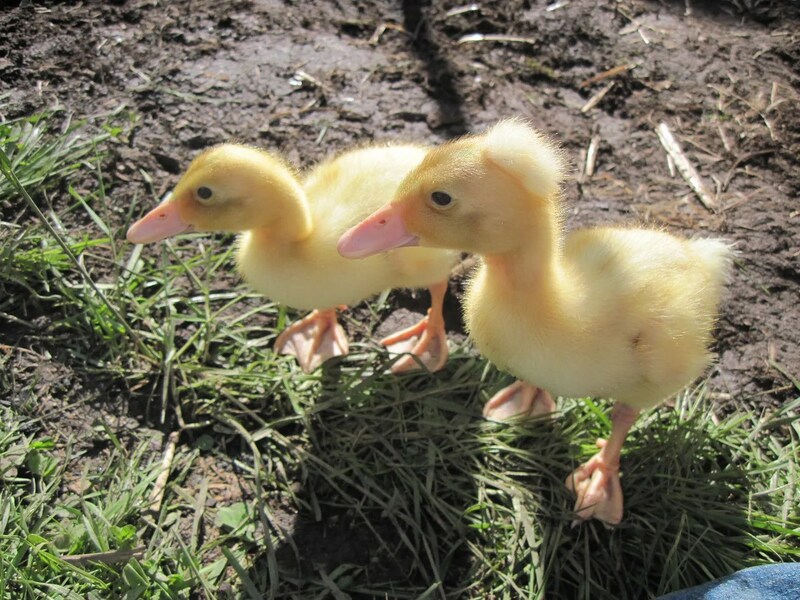 First off, the Indian Runner ducklings, Maisie and Millie, are now a week old. 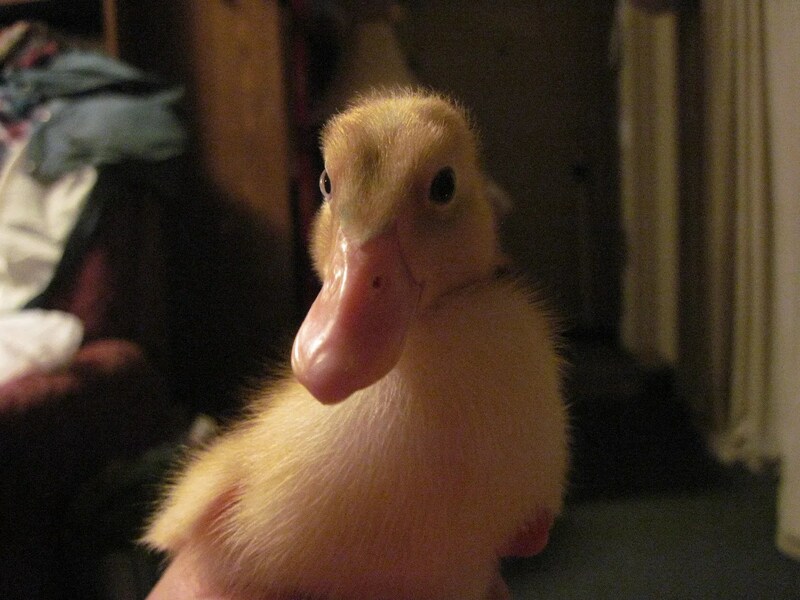 Ducks grow so freaking fast! We’ve been letting them out to run and play in the living room, and today, because the weather was so lovely and warm, they got to go outside and have a bath. 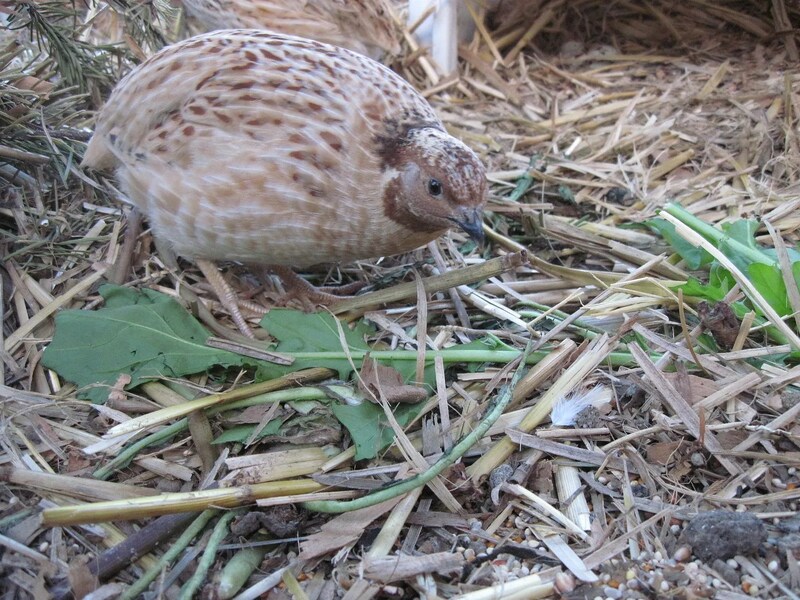 While I was outside with the camera, I also took a few pictures of the quail. And then I visitied Loki and Isis. When I open the door to the coop, Isis always comes running right up, expecting treats. If I don’t immediately comply with a handful of seed or greens, she sometimes attempts to walk (always very calmly) out of the coop to go get her own greens. I really, really like these Golden Italians. They are so docile and sweet-tempered. Though Loki is always slightly suspicious of my motives. He’s a good male, and protective of his girl. 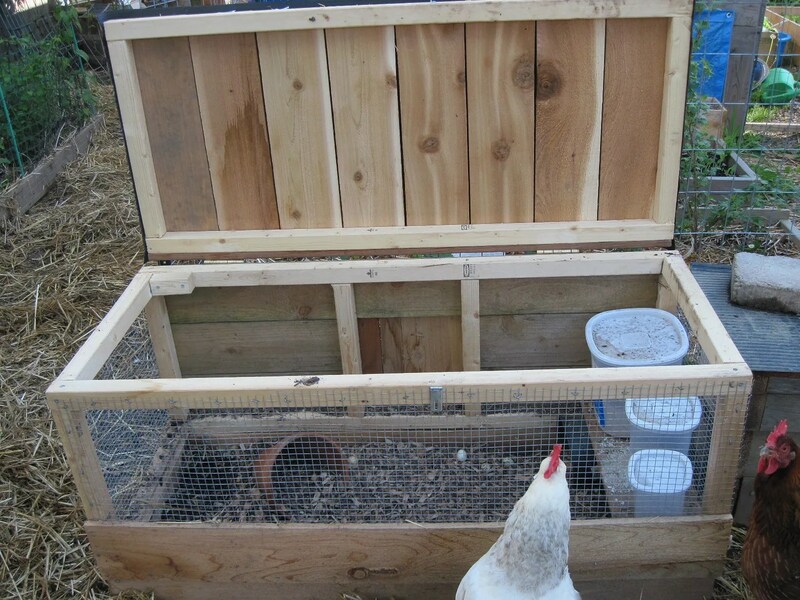 Speaking of quail, I said I’d show you pics of my new coop. 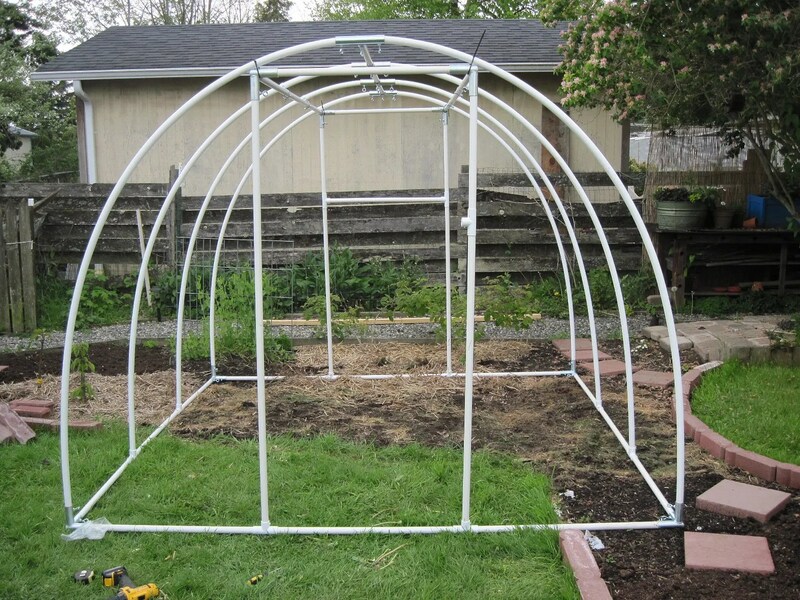 It’s smaller than the others – I originally meant it to hook onto the from-scratch greenhouse I was going to build. 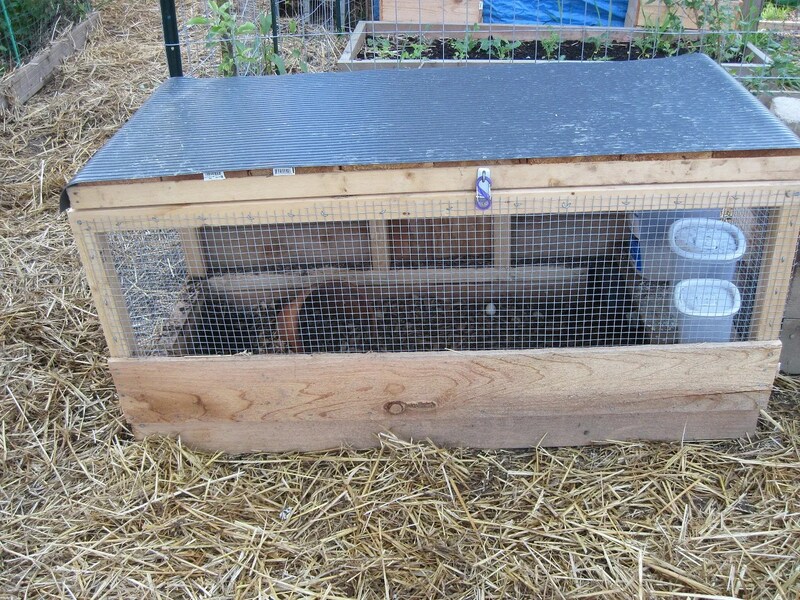 I wanted to make sure they had an outside area they could escape to if the interior of the greenhouse got too hot. The entire top lifts, for easy access to the quail. I wouldn’t have a top *quite* like this, if I didn’t trust my quail to be so tame they wouldn’t fly out. As it is, one of the girls does *pretend* she’s going to fly out if I’m not quick enough with the treats. But once I drop seed or greens in the pen, they all let me pet them, clean around them, and do whatever else needs to be done without fear. Notice the chickens looking on. 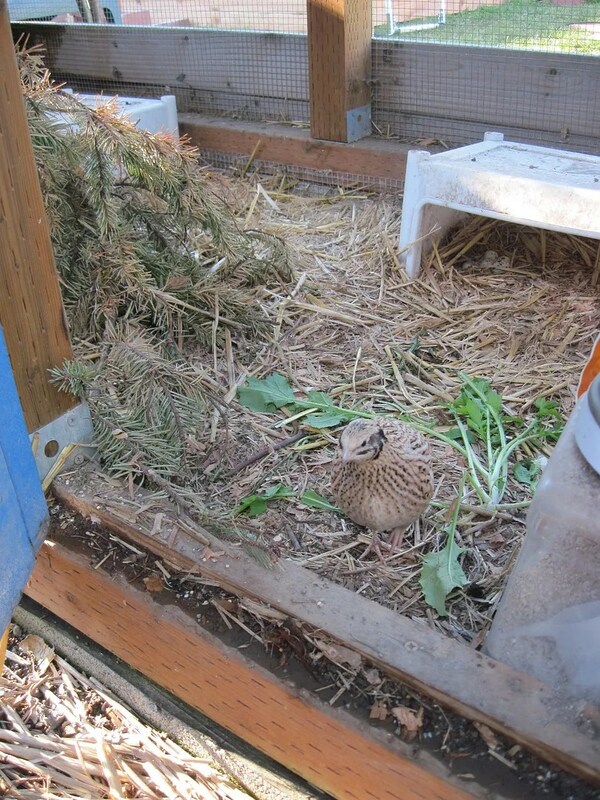 They have severe quail-food envy. The highlight of their day is when I scatter a few quail crumbles on the ground for them! We aren’t doing a from-scratch greenhouse any more, for a variety of reasons. The biggest one being that we found a kit that is everything we want, for a reasonable price. It’s the Early Bloomer, by Solexx. We have the frame up, but we were accidentally sent the wrong size of anchoring/tie down pieces, so we can’t put the skin on it until we get those in the mail. The company, Solexx is AMAZING to deal with. They are willing to answer all our questions over the phone, and after we bought one, the guy who gives help on building it gave us his personal cell phone number in case we had trouble and needed help after hours or on the weekend! Wow. That’s customer service you don’t often see. If you’re looking for a greenhouse, I highly recommend checking them out. And what’s new in the garden? My beans are coming up like wildfire! 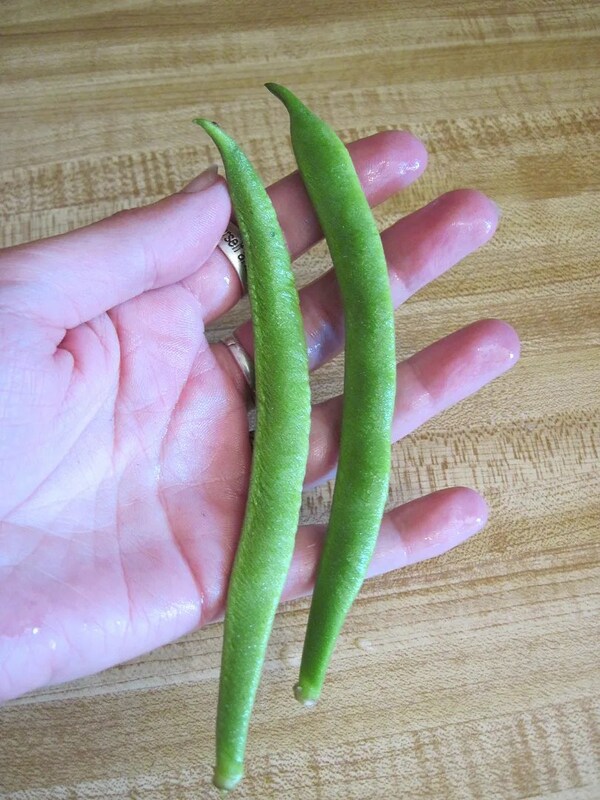 I’m growing so many different kinds of snap beans this year. I want to can millions of them! Seriously, those beans I canned last year are so yummy. 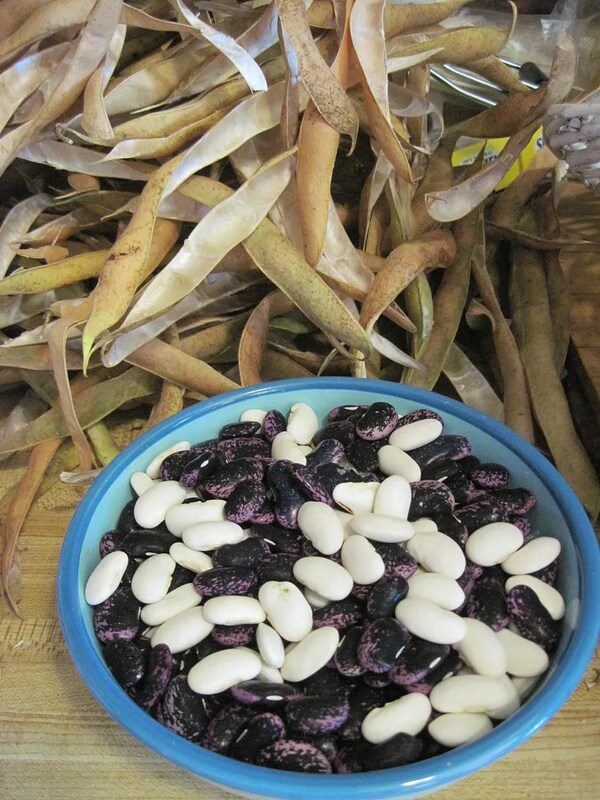 I’m also growing a couple of varieties for dry beans. Black Turtle and Saxons, neither of which I’ve done before, and Scarlet Runner Beans, which I do every year. 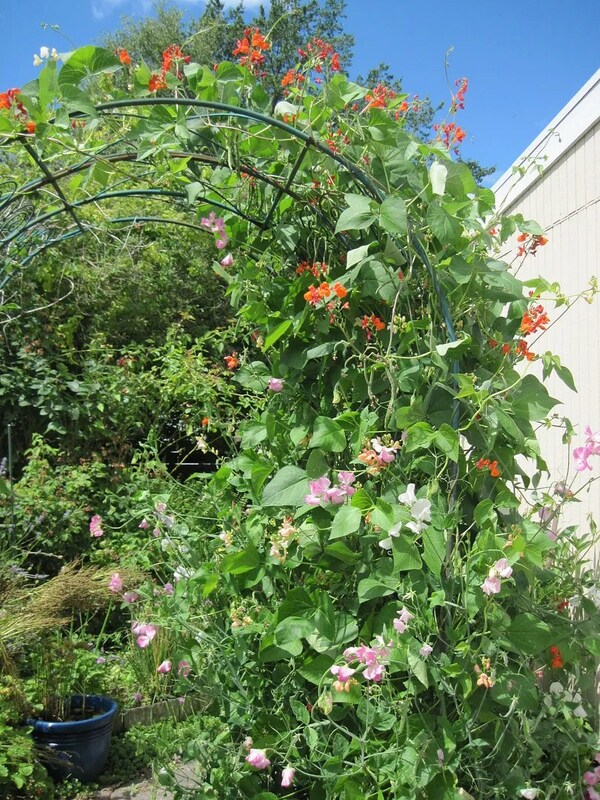 The hummingbirds LOVE the flowers, they are gorgeous on the trellis, and the dry beans are wonderful. Similar to a pinto, I think, only creamier. Since I tried them as dry beans, I don’t bother picking any of them as young snap beans. 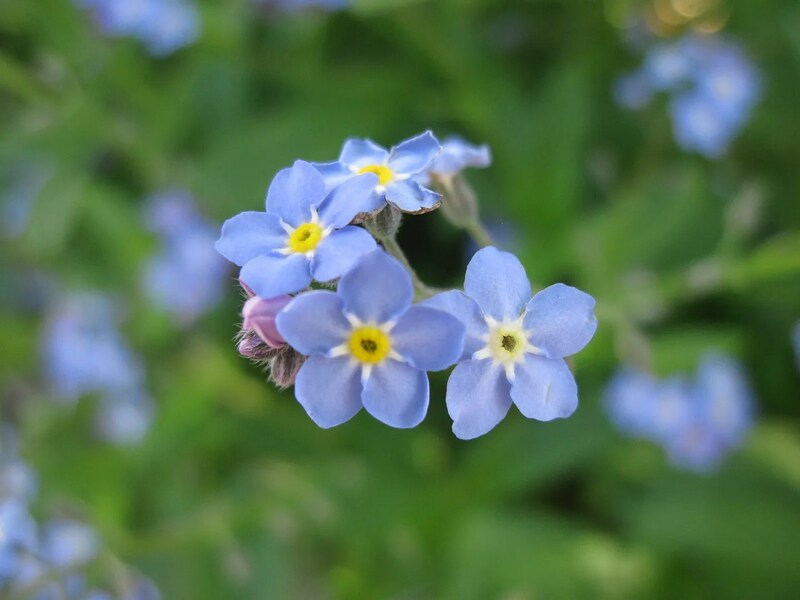 And here’s a picture of one of my favorite flowers, Forget-Me-Not. 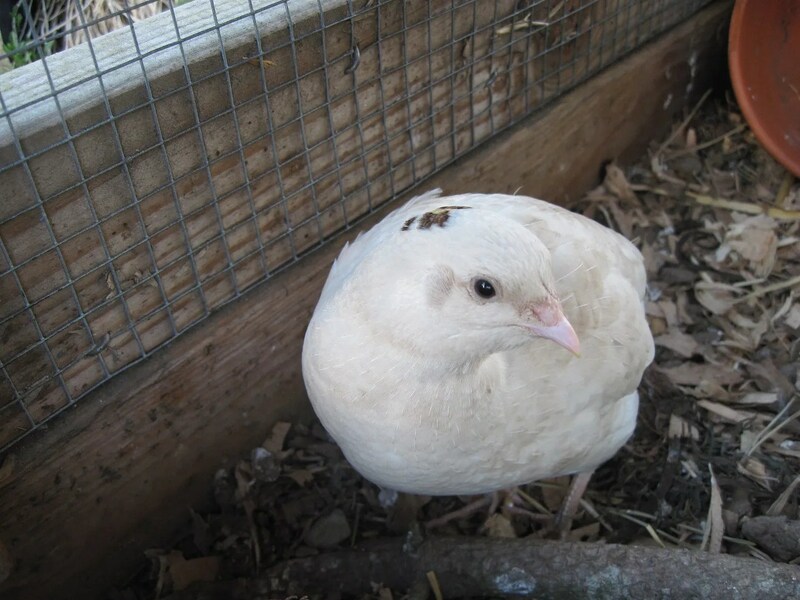 Oh, and I almost forgot – we’re getting three new chicks this year! My broody hen, Josie, went broody at just the right time this year, so I reserved two Ameraucanas, and one Speckled Sussex. Every time I get an Ameraucana, it ends up being a rooster. Every. Freaking. Time. So this time, I’m getting two. My luck couldn’t be that bad, could it? 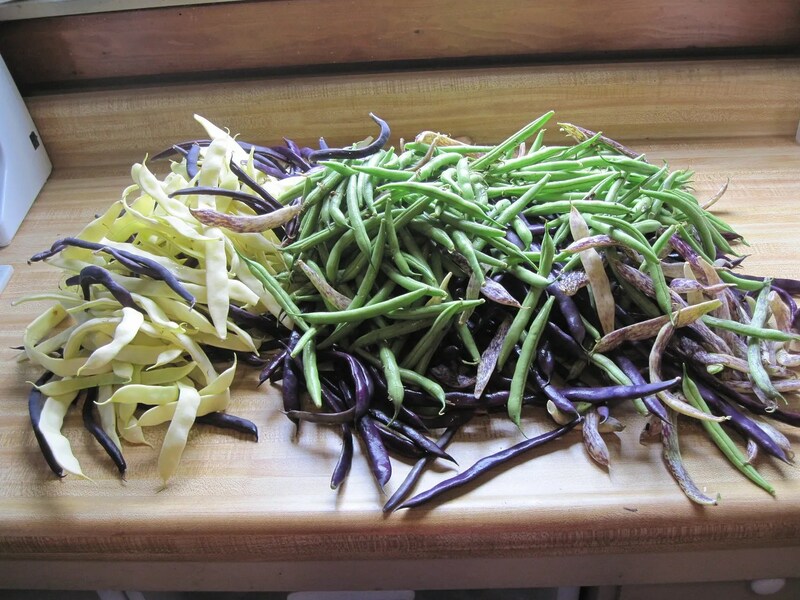 The Runner beans are starting to dry, which means I need to keep the pods picked before they burst open on their own and scatter the beans all over. The white ones are the white-flowered variety, and the purple ones are the standard red ones. It makes for a pretty mix! I’m very excited about tasting these. Besides picking beans, today I froze a bunch of excess quail eggs. When those little girls lay, they certainly lay in profusion! From what I’ve heard, frozen eggs are practically indistinguishable from fresh eggs (as scrambled eggs, or in recipes) but you can’t just pop them in the freezer. First, since they ARE teeny tiny quail eggs, I cracked five of them into little plastic cups. Five quail eggs are equivalent to one chicken egg. 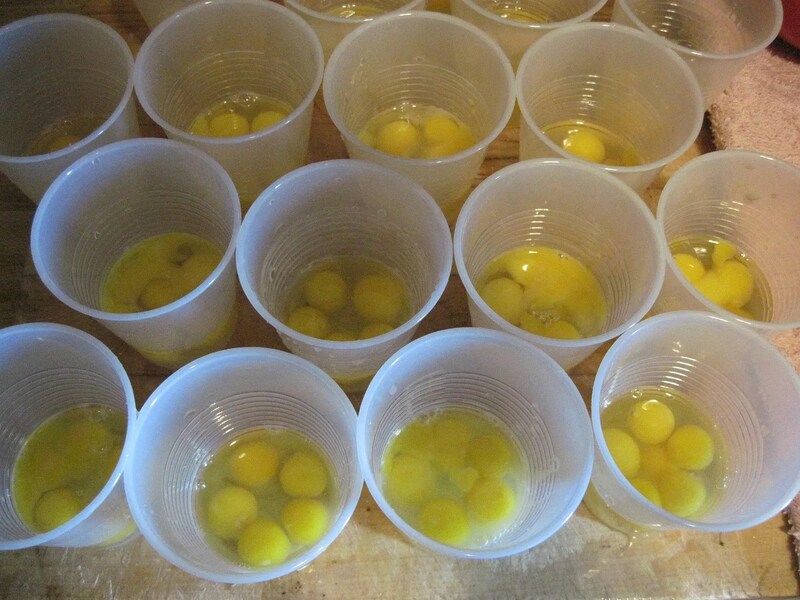 Then, I beat them gently with a fork, to mix the yolks and whites together. Next, I put the little cups in the freezer. 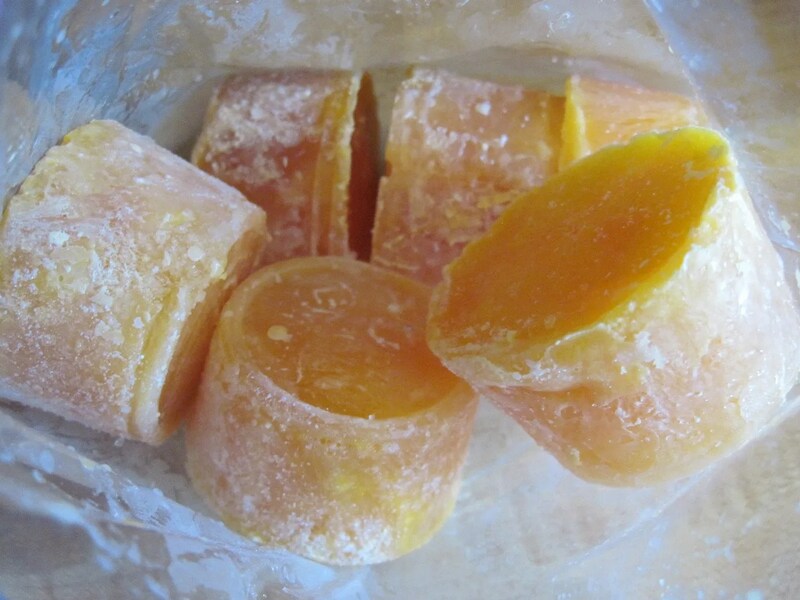 When they had frozen, I ran the bottom of the cups under hot water for a few seconds to loosen them, then popped the frozen eggs into freezer bags. They look like little tasty orange popsicles! 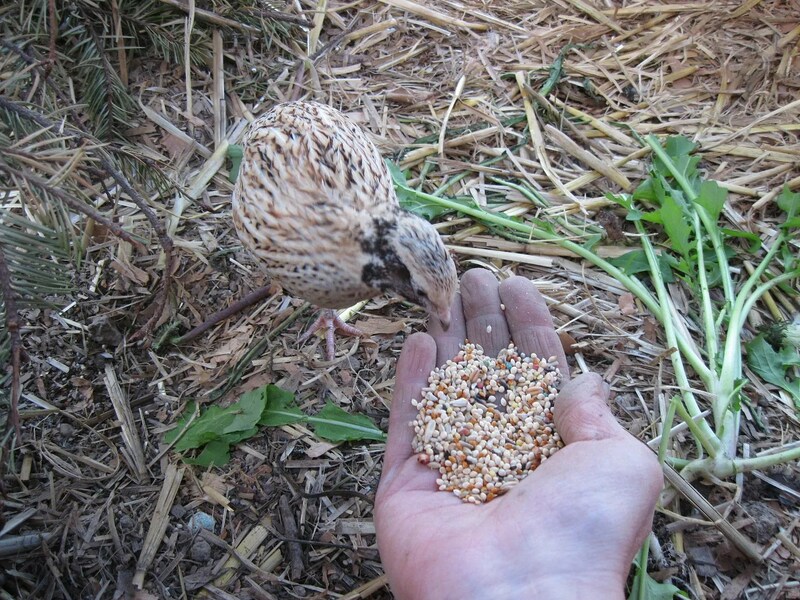 During the winter, when the quail aren’t laying anymore, and the chicken eggs are sporadic at best, I’ll be able to grab out however many little egg blocks I need for my recipes. I’ve been doing a lot of work out in the yard these last couple of days. I finally finished the raised beds in the vegetable garden, and added more beds in the East Yard. I forgot to take pictures, though, so I’ll have to do a separate blog post on those improvements later. 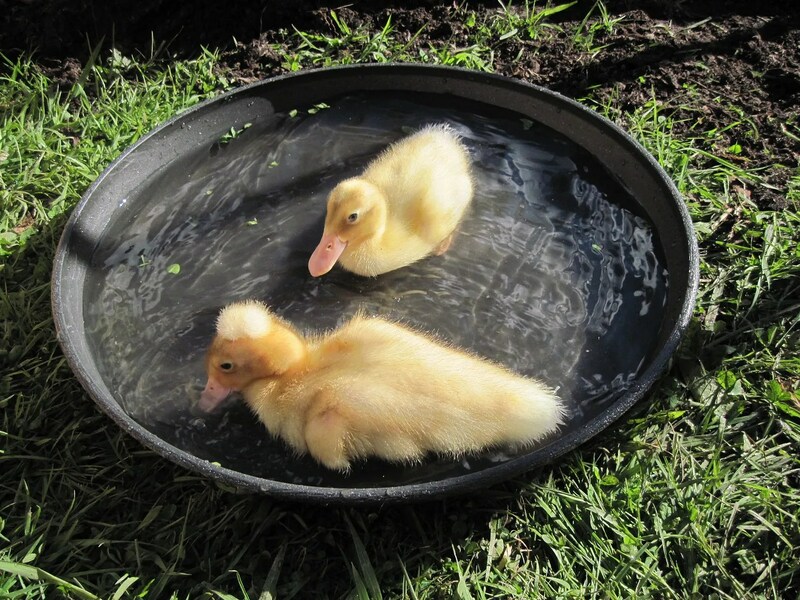 This fall, I’m really hoping to get the greenhouse and duck coop built. No matter how much I accomplish, there’s always an unending to-do list! 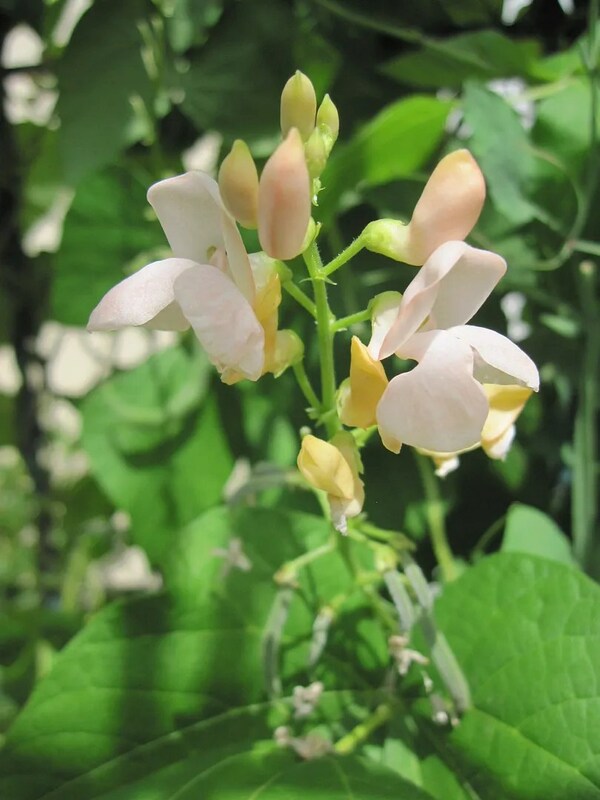 The garden is going insane…with beans! It is wonderful. I went out yesterday, and picked a large batch to freeze. All together, I ended up with 11 quart-sized bags in the freezer. And then, I remembered that I’d completely forgotten to even look at the Runner Beans. As I suspected, there were some monsters on there. 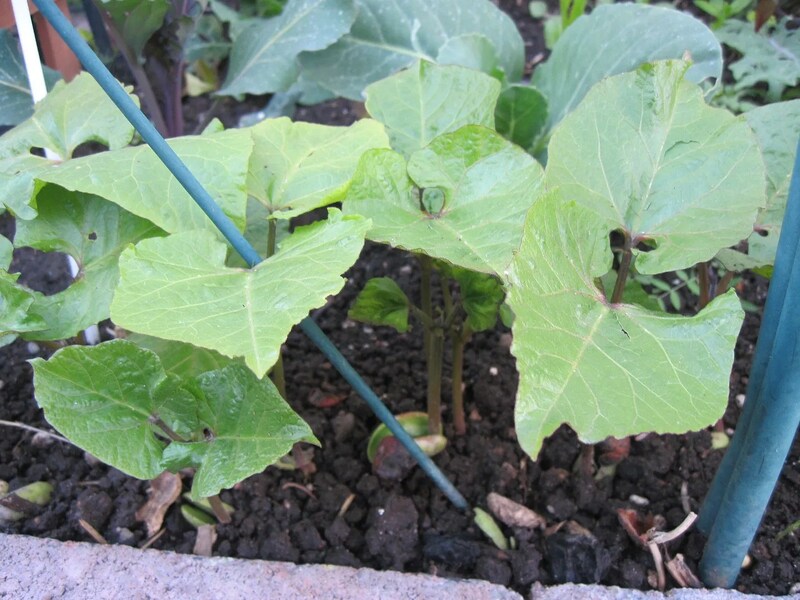 Runner beans get HUGE. 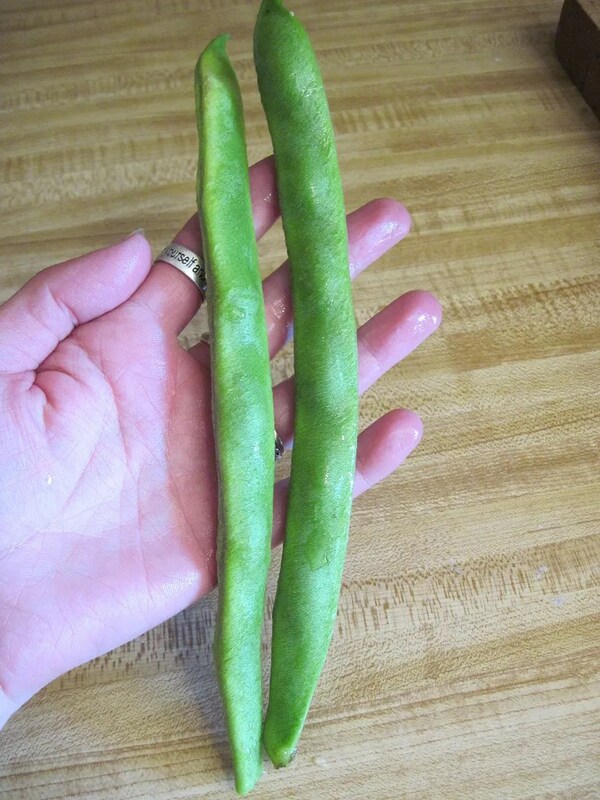 Some were larger than this, and these are really too large to eat as green beans. I’m composting all the ones that grew too big – I don’t want to leave them on the vine yet, because I want it to produce as many blooms as possible for the hummingbirds, who adore them. Later in the season, I may let them go to make dry beans. I’ve heard they make good dry beans, but I actually have never tried them before. They are also so ornamental. They come in red, white, and a lovely pink. This is more the size of bean I pick to eat. They are tender and not stringy at this age. Today, I ended up cooking the Runner beans along with a few more bush and pole beans for lunch. 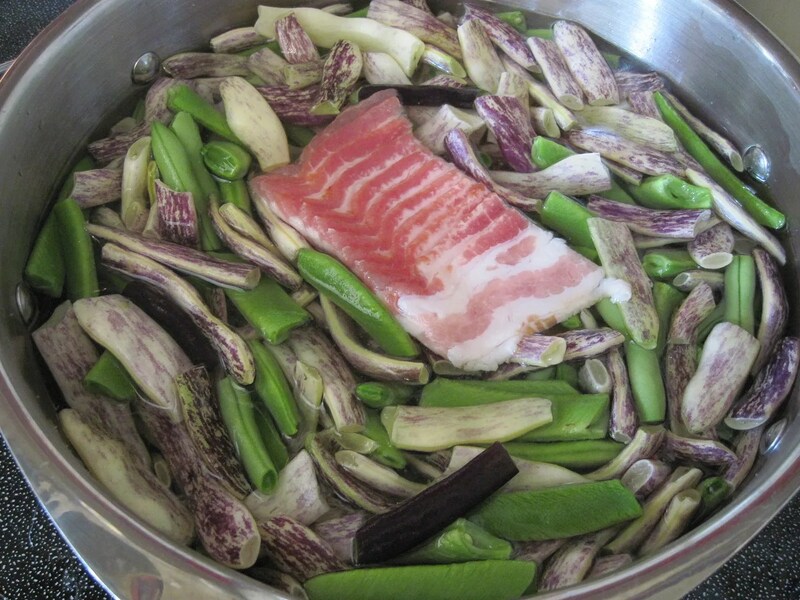 I like just simmering them in a pan with water, salt, and bit of bacon until they are tender. So good! I picked my first squash today. 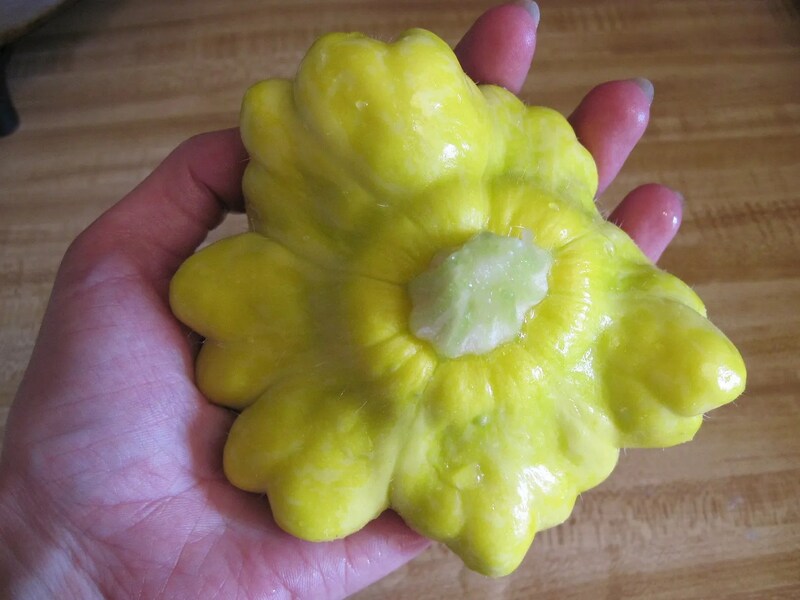 This is a Gelber Englischer Custard squash. 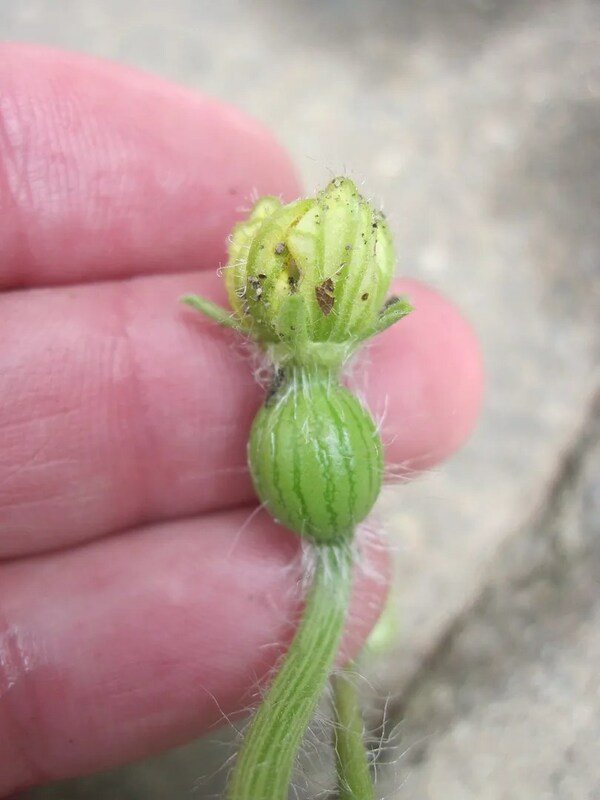 Also, I have a bitty little watermelon. I have high hopes for this baby. It’s a Blacktail Mountain, which is supposed to do marvelously in the PNW. AND, the State Dept. took their travel warning off Egypt, so as long as nothing changes in the next year, I’ll be back to Plan A. England and Egypt, my two favorite countries in all the world. 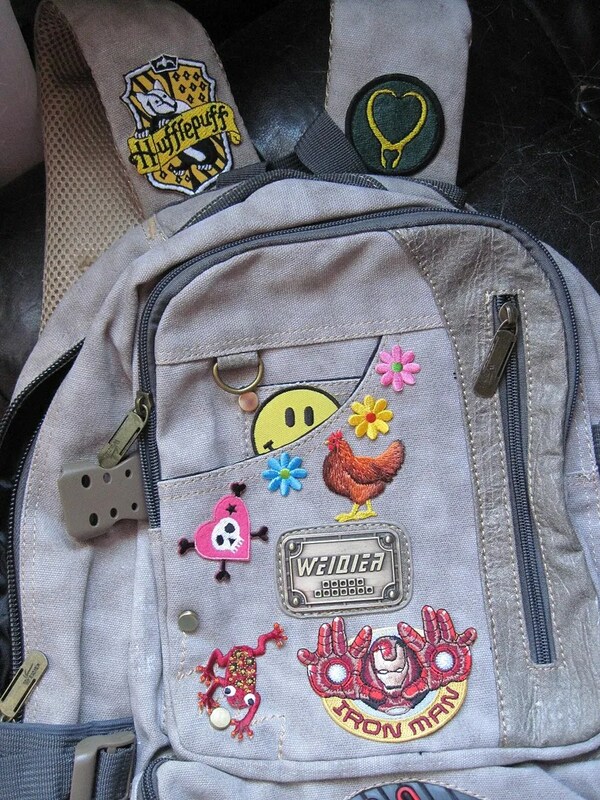 I’ve started putting patches on my Little Backpack of Geek in preparation. Besides the fact that I might as well travel with a cute/funny bag, it will be a bonus if all the thieves assume it’s a kid’s pack and don’t bother to try to steal it. 🙂 By next year, I’ll have a patch on this for all my major fandoms and geekery.